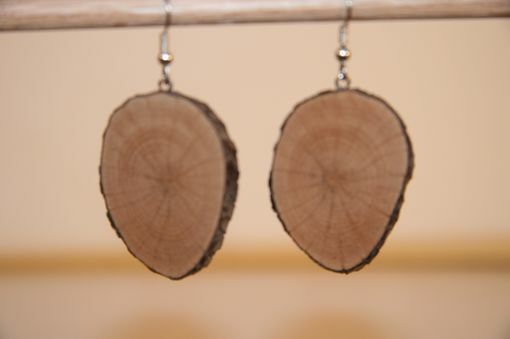 These earrings are made from Mountain Laurel, a very slow growing misshapen tree. A 25 year old slice of Mountain Laurel is about 1 inch in diameter. You can actually count the growth rings. 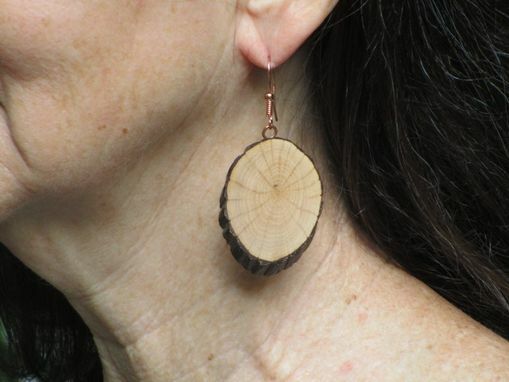 Each piece of wood requires 24 steps to go from branch to jewelry ready. 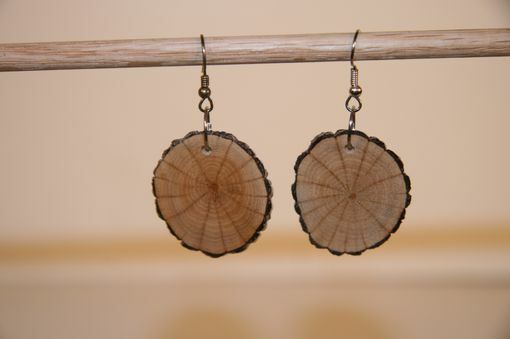 Earrings are available with stainless steel or copper findings. 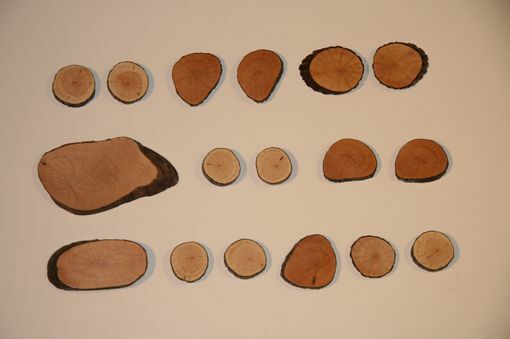 Pictures show various sizes of Mountain Laurel. 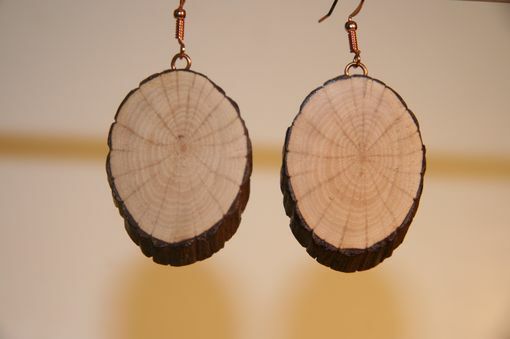 Sizes of Mountain Laurel available for these earrings are about 3/4 inch and up. While the color is fairly constant with Mountain Laurel, shape is not. When I know what size earrings you are looking for, I can email you pictures and let you choose what you want.